Jon Bicknell is best known as the former bassist for classic British Mod band Squire. Led by singer/songwriter Anthony Meynell, Squire recorded some of the finest Mod/Power Pop of the early ‘80s yet they remain sorely underrated in the Rock ‘n’ Roll history books. Perhaps one day, Squire will finally get the recognition they deserve?! Until then, we’ve got their music to keep us warm at night. And those ace basslines that we’ve all come to know and love on Squire records were played by the magic fingers of Mr. Bicknell. Nearly 40 years after Squire first made their mark, Jon Bicknell has returned to the music scene with a vengeance. 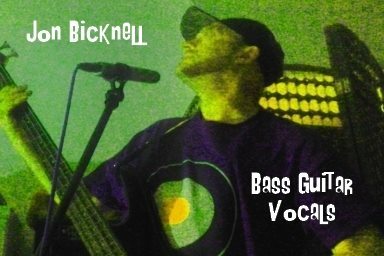 Instead of being a sidekick partially hidden in the shadows, Bicknell steps out in front as lead vocalist, bassist and main songwriter with British guitar pop trio Drums And Wires UK. 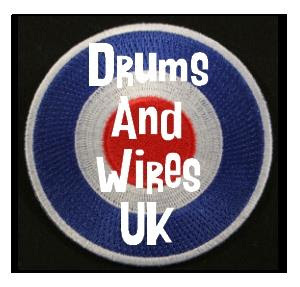 While they don’t sound like Squire, Drums And Wires UK certainly operates in the same musical universe. Influenced by ‘60s Pop, ‘70s and ‘80s Indie Pop and Mod, Bicknell & Co.’s debut release - UPS DOWNS AND MERRY-GO-ROUNDS – is a short and sweet seven song mini album that combines all of those influences and serves up a tasty treat of non-nonsense indie Pop. The songs jangle and soar. The vocal harmonies are very Squire-like. Instead of going for a big, glossy sound, the band keeps it rough and edgy – almost a bit ramshackle in spots. Songs like “I Want To See The Sun”, “Sunshine Smile” and “All The Things” are gems. In fact, every track here is worthy of slipping onto a Pop mixtape… preferably in between Squire and Robyn Hitchcock & The Egyptians. Oh, by the way, the band’s name is not a reference to the XTC album – it refers to the instruments the band uses to create the music! STEPHEN SPAZ SCHNEE: Please introduce yourself. JON BICKNELL: Well, it seems I have been nominated as band spokesperson for this interview, because I wrote the songs, and I apparently have a tendency to waffle on for ages, going off on tangents, and not letting anyone else get a word in edgeways. Sorry, what was the question again? Ah yes, introduce the band! I’m Jon Bicknell and I play bass and sing lead vocals. 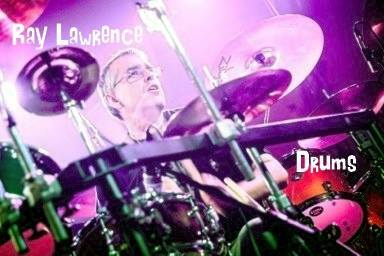 Our mighty fine drummer is Ray Lawrence, who also recorded, mixed and produced the album in his studio. 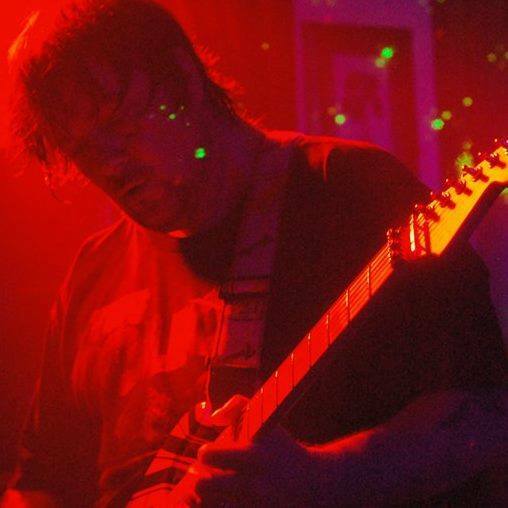 Last but by no means least, guitar duties are performed by the extremely talented Les Black. JON: Actually “little platter” is a pretty good description Stephen. The album was originally planned as a double, and I had around 25 songs in demo form ready to work on when we started in early 2016. But it soon became apparent that a double album was going to take a very long time to make… we could only work on it on Fridays, so our plans changed. We decided to split the tracks into three “suites” and release them as separate albums. This one - UPS DOWNS AND MERRY-GO-ROUNDS - is the first offering. It’s fairly short by album standards, with seven songs clocking in at around 26 minutes. JON: I think it would have to be “All The Things”, which is the first song on the album. It’s probably the Power Poppiest song from an album of mostly Power Pop songs. And like most of the songs on this first album, it deals with human relationship issues. . . the ups, downs and merry go rounds of life. And although my lyrics tend to be a bit depressing on the whole, I do love to make the accompanying music as lively, bouncy and hook filled as possible to redress the balance. So, with “All The Things” you get a sad song about a poor boy who can’t face wearing the clothes his ex-girlfriend bought for him, because they remind him of her, set to a three minute jangly, harmony filled pop song. So yes, I think the song is a very good indication of what we are about musically, and having it as the first song on the album hopefully sets the listener up for the rest of the album. JON: As I mentioned earlier, I originally had a double concept album planned, with over 20 songs written and arranged into a particular order. So it was always my intention to present the songs as a complete work. But splitting the songs into three chapters worked out OK too because each set of songs is still a complete work on its own. I have mixed feelings about the age of digital music. On the one hand, it has opened up a huge new world of music for the music lovers, and an affordable outlet for musicians who would otherwise never have got heard. On the other hand, it has made it extremely difficult for indie artists and bands to make a living from their music, as it’s freely available to download and stream when you use platforms such as Spotify and YouTube to promote it. Independent bands like us have to rely on revenue from physical sales, gigs, merchandise, selling our bodies etc. Myself, Ray and Les are old school, and all agree that the sense of pride, achievement and satisfaction in creating a musical piece is never more satisfying than when you can hold the finished work in your hands in the shape of a vinyl album, or failing that a CD which you do NOT put on shuffle! So to answer the original question, the album was most definitely made to be listened to as a whole piece of work, with the tracks in a particular order. I’m perfectly happy if people want to download individual tracks that they like to add to their current playlist, but the full Drums And Wires UK experience is best had listening to the vinyl version, which will be released later this year… most probably in time for Christmas! HO HO HO! JON: The recording of the album was an extremely organic process, much to my surprise and delight. Ray had been hassling me to do this album for ages, then one day I saw him in town and suddenly found myself blurting out “Let’s do this album!”. It was weird, I had been out of the music scene for many years, but recently I had been having some severe withdrawal symptoms. . . melodies and rhythms and lyrics and basslines had been intruding into my thoughts as I watched soaps, game shows and reality TV. I was walking to a rhythm, and involuntarily clapping my hands and whistling in public. I had to do something! So yeah, Ray grabbed my hand, shook it vigorously, smiled with delight and a start date for the recording was arranged. So I spent a couple of weeks getting the song demos together, which I sent to Ray so he could be all clued up when we came to record the drums and bass. When we got together, the demos pretty much went out of the window, and we ended up recording completely new arrangements. After we were happy with the backing tracks, our guitarist Les was given a totally free reign to do whatever came naturally, and he did a fantastic job. Most of the stuff on the album was recorded in the first few takes, we just spent a lot of time on making it sound right, and went through several recording and mixing console choices along the way. We eventually chose Harrison Mixbus to mix the album as it gave us that ‘80s/’90s analogue tape recording retro sound I wanted. To top it off, I asked Simon Wood, an old mate of mine who did a lot of sound work with several of my bands including Squire back in the day, to master the album. He did a great job, too - he instinctively knew what I wanted. Going back to the original question, I definitely had an idea in my head about how I wanted the album to sound. Ray, Les and Woody interpreted that and exceeded my expectations. JON: I consider myself very fortunate to have Ray and Les in the band. They are both very talented musicians, they both write music, and they are both extremely active in the world of music. Ray is the original Drums And Wires UK drummer, but has done a ton of stuff since we called it a day back in 1995, and continues to play live in numerous bands as well as being involved in several recording projects. Les is a local guitar legend and is always in demand. From the very beginning of the recording sessions, they both stated that they loved the songs, and were ready to do whatever I requested. I told them to do whatever they wanted, which they did. It all came very naturally, and the end result is as organic as it gets. It’s a very energetic “live” sounding album in my opinion. We can’t wait to get out and do some live gigs, we are confident that the live shows will be even more energetic. JON: This question made me chuckle. When we started work on the album, I had it in my mind that we could finish it in a couple of months. It seemed quite simple to me… we would record the drums and bass for 25 songs over a couple of weeks. Add another couple of weeks for the guitar parts, then another couple of weeks for the vocals… mixing for a week or two then hey presto! … oh, how wrong I was! Ray, as well as being a great drummer, also engineered, produced and mixed the album, and he is the ultimate tinkerer. I have over 300 mixes of the seven album songs in a file on my computer. I had to eventually tell him “ENOUGH IS ENOUGH RAY!” If it was up to Ray, the album would never have been released, it would have been suspended in musical inanimation, getting polished to perfection but never getting heard. The end result is actually very pleasing to me personally, I really cannot fault it and wouldn’t change a thing. Ray would probably disagree. Haha. JON: My main musical influence on this album is not a particular artist or band, it’s more of a musical genre. From a very early age, I felt musically attracted to everything melodic, everything pop with hooks I could sing along to and harmonize with. I grew up in the sixties, playing my parent’s records… a huge selection of memorable bands and tunes. Then in the 70’s I was attracted to melodic bands with clever infectious songs like ELO and 10cc. Along came punk and New Wave, and it was the melodic clever stuff like XTC, Squeeze, Buzzcocks, Elvis Costello and Wire that made an impression. When the Mod Revival came along and I joined Squire, a whole load more influences came my way. Being in a band with Anthony Meynell taught me a great deal about writing catchy hooks, which I’m sure shows in several of the songs. But my chief songwriting influence can be summed up in two words: Pop Music. JON: Not during the making of the album no, because it was all written before we started recording. I think my main source of inspiration during the making of the album was Ray. His belief in the material and his constant encouragement definitely inspired me to do my very best to make the album as good as I could make it. I suppose I could count Ray as a non-musical influence as he’s a drummer. Haha. I added the drummer joke especially for Ray, he will appreciate it. JON: I don’t think I started to get really excited about how things were sounding until Les started to record his guitar parts. We had all the drums and bass recorded, along with some basic guitar parts that I had played as guide tracks so Les had a rough idea of the chord changes and song structures. I couldn’t attend Les’s first session, so he and Ray added guitars to three songs in my absence. When I heard what they had done it totally blew me away. It was at that point I realized that we did indeed have something a bit special, and it was a huge boost to my self-confidence. Working with such fantastic musicians, I knew that we were making the best album I could ever hope to make. And even though I wrote the songs, I see this album as written by the whole band in equal measures. JON: I will be spending the next few months promoting the album, while Ray and Les go off to fulfil other musical commitments. I will also be trying to arrange some gigs for next year as we are keen to play live. We plan to resume recording for the next album in early 2018. . . working title is INS OUTS AND ROUNDABOUTS. JON: Having been listening to the same seven songs for the last two years, I am currently enjoying the whole of the XTC back catalogue. I recently did the same with Squire as I hadn’t played the songs for many years. I reckon the GET SMART album still holds up as one of the most underrated masterpieces of pop. I’m very proud to have played bass on it. 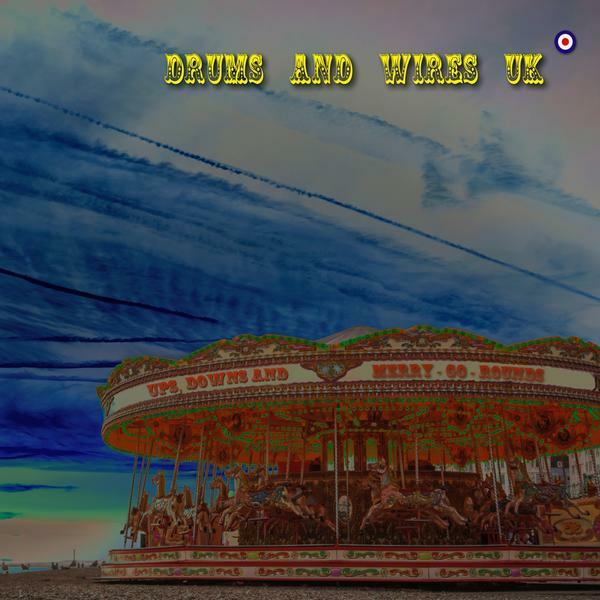 Anthony sent me a lovely message recently saying how much he loved the Drums And Wires UK album, which in itself makes it all worth it.